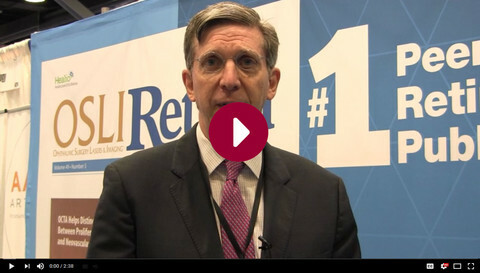 News - See what's new! Find all the latest information on upcoming events, product developments, and company announcements. 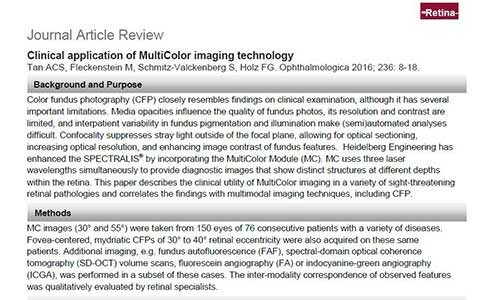 Read in the article review how confocal MultiColor imaging, uses three laser wavelengths simultaneously to provide diagnostic images that show distinct structures at different depths within the retina with high resolution and increased contrast. 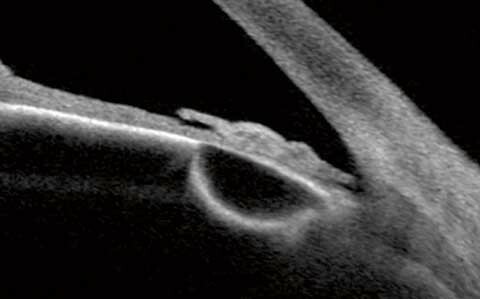 With the multimodal imaging platform ANTERION® you get exceptionally clear swept-source OCT images of the anterior segment. 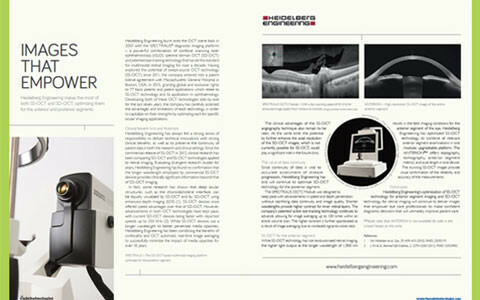 by Cereda MG, Corvi F, Cozzi M, Pellegrini M, Staurenghi G.
An educational article about optimizing swept-source and spectral domain OCT technology for multimodal imaging is featured in the Technology to Empower section of the October issue of The Ophthalmologist. 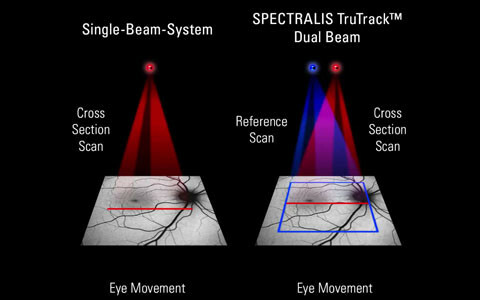 TruTrack Active Eye Tracking is a patented technology that uses a second laser beam to actively track the eye during OCT scanning to avoid motion artifact. 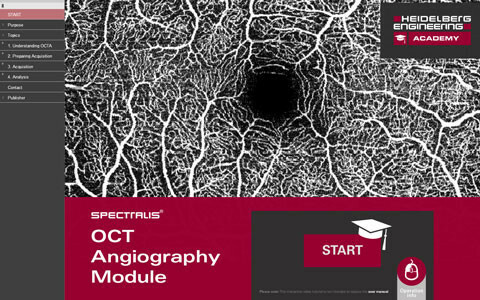 This new paper provides you with a comprehensive overview of the design principles of the non-invasive SPECTRALIS® OCT Angiography Module, as part of the SPECTRALIS multimodal imaging platform. 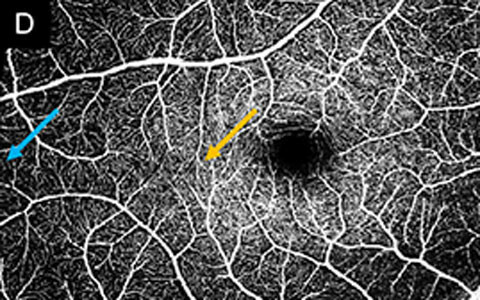 Clinical examples illustrate the diagnostic applicability of the OCTA Module and demonstrate its clinically-relevant capabilities. 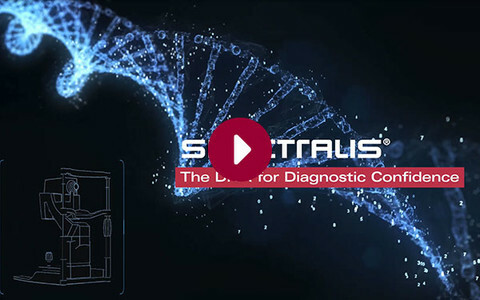 Multimodality – A necessity for patient-centered diagnosis? 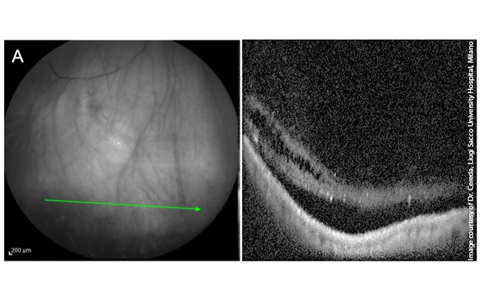 With the rise of technological innovation in retinal imaging and the availability of many different diagnostic tools, multimodality has become a topic of increasing interest. 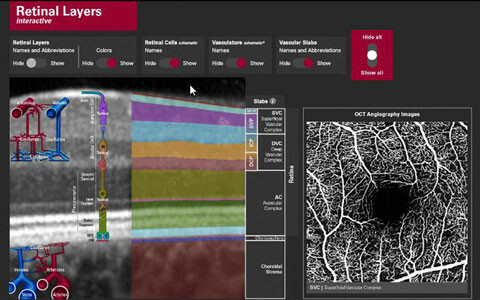 Easily learn the structure of the retina with the new Retinal Layers interactive learning module – on your desktop PC or tablet.